FLOW, the producer of the biggest daytime event during Dominica's independence celebrations has announced that Creole in the Park (CITP) 2018 will not be held. Labeling the decision "tough but necessary" FLOW said today that "its priority must be to remain focused on restoring service to all customers across the island". "One year post the massive destruction of hurricane Maria, the telecommunications company which experienced severe damage to both its mobile and fixed network infrastructure, has been battling with delays in restoration of service to customers in certain areas and is making this its number one priority," said FLOW in a press statement. "We have had quite a few set-backs in completing our new state of the art network build-out, service restoration, and launching of new products and services including Fibre to the Home (FTTH), and IPTV following hurricane Maria," stated Flow's General Manager Jeffrey Baptiste in the press statement. "It was a difficult decision to make as we are quite aware of the importance of Flow's Creole in the Park event to Dominica; but we also have an unwavering commitment to our customers and must make them a priority at this time" added the Flow GM. He concluded, by stating that the company's goal is to fulfill commitments to customers to provide super-fast broadband connections and to launch a superior television product in market. The company said it apologizes to all affected by this decision and is committed to playing its part in the rebuilding process post hurricane Maria. The last CITP was held in 2016 and subsequent events were cancelled due to a hurricane and a tropical storm. 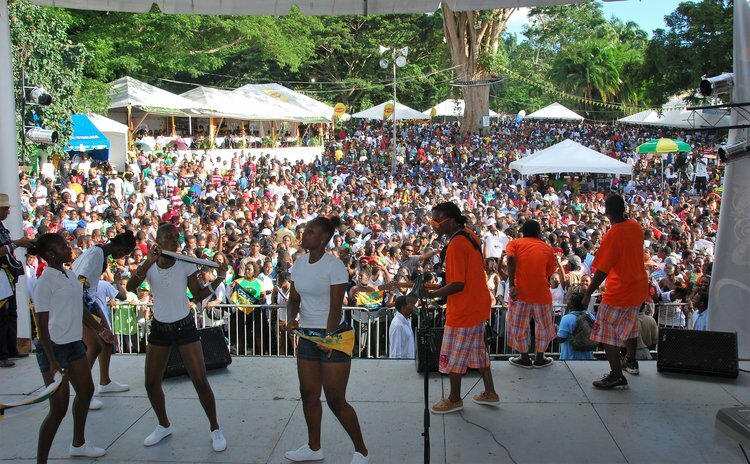 The 3-day annual event, usually held before the World Creole Music Festival, is staged at the Botanic Gardens in Roseau. CITP began in 2003.